Map showing the Metropolitan Line Extension line routes. Image courtesy of Croxley Rail Link. Bombardier’s S Stock trains (S8) will be used as the rolling stock on the Metropolitan Line Extension. Image courtesy of Croxley Rail Link. The project will involve the construction of a 5.4km dual track line. Image courtesy of Croxley Rail Link. Taylor Woodrow is the lead contractor for the Metropolitan Line Extension project. Image courtesy of Croxley Rail Link. Acanthus LW Architects provided the detailed design for the new stations at Ascot Road and Watford Hospital. Image courtesy of Croxley Rail Link. 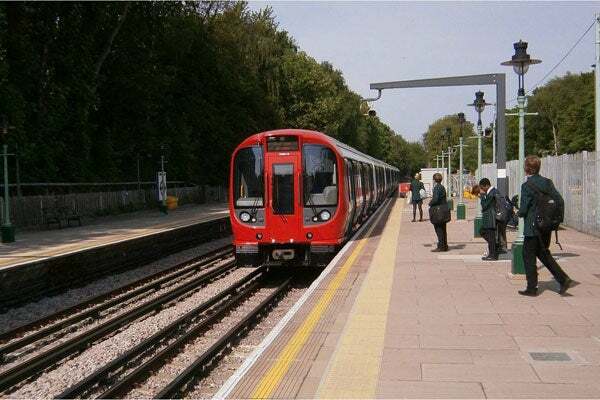 The Metropolitan Line Extension (previously known as Croxley Rail Link (CRL)) will connect the Watford branch of the London Underground Metropolitan line with the National Rail network at Watford Junction via Watford High Street, UK. "Taylor Woodrow, the main contractor, started on-site survey and ecological works of the project in May 2013." Principal contractor Taylor Woodrow started on-site survey and ecological works of the project in May 2013. These on-site works are required for the detailed design stage of the project. Full-scale construction is planned to start in 2016 and is scheduled for completion by 2020. The estimated investment on the project is £118m ($182.79m). The project is being implemented by Hertfordshire County Council in partnership with London Underground and Network Rail. Watford Borough Council and Three Rivers District Council are other key partners involved in the project. The UK Secretary of State for Transport published the Croxley Rail Link Transport and Works Act Order in July 2013 thereby granting approval to Hertfordshire County Council and its scheme partners the approval for constructing, operating and maintaining the rail link. The Metropolitan Line Extension project aims to improve the transportation links between Watford Junction and rest of London via Watford High Street. The Watford area acts as a key transport hub with several offices and businesses, schools and colleges, and health and leisure centres near Watford and across Hertfordshire. The project will also improve the connectivity within Watford, Watford Junction, Watford Business Park and Ascot Road. It will support the economic development, improve access to London, and reduce the commuter traffic on Watford’s road network. London Overground is the new brand name given to the operation of the former North London Railways (NLR) and East London Line (ELL) franchises. The project will involve the construction of a new 5.4km railway line with dual tracks, and a new viaduct over the A412 and Grand Union Canal. The project will connect the existing 1.3km London Underground Metropolitan line (at Watford terminus) to the proposed railway line between Croxley and Watford High Street. The dual track will be located on the Croxley alignment at a new junction with the existing Watford Junction to London Euston DC route at Watford High Street. The Croxley Green branch at Ascot Road is currently a single-track line and will be upgraded to dual-track as part of the project. Two new stations, to be constructed at Cassiobridge Road and Watford Vicarage Road, will replace the existing Watford station. A new bridge will be constructed over the dual carriageway at the old Ascot Road. "The Metropolitan line extension project aims to improve the transportation links between Watford Junction and rest of London via Watford High Street." The CRL will be served by the S Stock trains (designated as S8) used by the Metropolitan line. The S8 subsurface trains have eight cars, and are 133.7m-long and 2.88m-high. The train cars will be delivered by Bombardier Transportation. The new line will be installed with Bombardier’s automatic train control (ATC) system. The signalling and telecommunication systems will be either procured through London Underground or directly from Bombardier. Taylor Woodrow, a part of Vinci Constructions, was appointed by Hertfordshire County Council in April 2013, to provide detailed engineering design and construct the new railway link. Acanthus LW Architects received a contract to provide designs for the Metropolitan Line Extension project, including designs for the new stations at Cassiobridge Road and Watford Vicarage Road. The project is expected to cost £284.4m, of which £49.23m will be provided by Transport for London (TfL), £109.82m by the UK Department for Transport (DfT) and £125.35m by Hertfordshire County Council. Using traditional engineering skills, innovative design and advanced technology, Sheffield manufacturer, Mechan, supplies specialist heavy-lifting, handling and control equipment for rail depots and workshops. Stripping down and rebuilding bogies can be heavy work, which is why Mechan has devised a range of products to make their removal, refurbishment and maintenance easier. Fixed location equipment drops, sometimes known as bogie or wheelset drops, enable underfloor modules to be removed, maintained or replaced without lifting or splitting the train, permitting simultaneous inspection and cleaning. This makes them particularly beneficial when an unscheduled change is required. SafeSec provides professional security services to rail and infrastructure projects nationally. Working closely with rail construction companies and the London Underground, we service multimillion pound projects and aim to become Europe's leading security provider.